Indiaplaza Blog For smart shoppers |: Biggest Discount on Watches, Only This Summer! Biggest Discount on Watches, Only This Summer! Shopping season has started… New models, new brands of watches, only @ Indiaplaza! The Holiday Season is upon us and it is time again to look for great watch deals to make the most out of your money buying gifts for your loved ones. 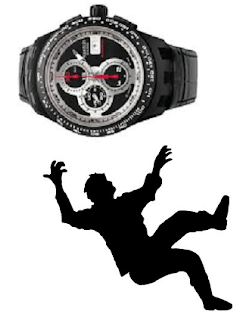 Indiaplaza is offering number of discounted watches this summer. Wide variety of watches with various features like chronograph, alarm, dual dial, world clock, tachymeter, calculator, stopwatch, etc are available at one place – Indiaplaza. Watches from many brands available at different price ranges – Casio, Citizen, Fastrack, Fossil, Skagen, Maxima, Titan, Timex, The Elephant Company clocks, Just Cavalli (recently launched), etc. Launching few more well known brands: - Miss Sixty, Morellato, Sector watches, etc. I was one of those lucky to avail this discount on my favorite watches. Now I can add them to my michele watches collection.